It is not an exaggeration to say that I ran one of the best races that I’ve ever run yesterday. The weather was optimal for running. I ran a smart race. I had beautiful pretty splits. I felt good. Great running time and a nice finish. What more could a girl ask for on a Sunday race day? The funny thing is that this was another race that I went into without an actual plan. Nope. Nada. Clueless. Like any tutu runner, I was more concerned with coordinating my outfit which I do believe that I did so perfectly. When walking and getting into the corrals with my MRTT Mama’s, I was saying that I was just going to run the Bronx 10 Miler as a training run. I was just going to run it at a solid 10:30 pace like many of my training runs. Gun goes off and we are off. I start off with my friend Kim. I tell her just go ahead as I don’t want to affect her race as I’m going to be going slow. She goes her way, I go mine. Then a funny thing happens as I’m trying to maintain my 10:30 pace, I realize that I’m going too fast. I feel good. I know from experience though that starting out too fast can be a real problem, so I change my mindset to running a smart race. I still have not thought on overall time, but I figure I will try to just keep my splits good. I did runt them faster than I was trying, but I was feeling good and felt like I could maintain the pace. I figured that it was only 10 miles and I could just keep going. It seemed to work for me. I did a couple things to distract me from the actual running during the race. First, I listen to those around me while running. I listen to the sounds of the feet, conversations, and just pay attention to where I’m actually running. Kind of taking in the sites. One of the other things that I did was take the time to say Thank You to every Police Officer that I ran by. Just a simple, “thanks officer.” They probably were like who is this crazy lady in red, but I figured they deserved it. Then I get to the finish line which this year is on a downhill as they changed the course a little. I’m feeling a stitch in my side, but I push it hard at the end. Why not? I can always breathe after I cross the finish line. So my non race strategy really paid off! I think that I am more happy with my splits than my actual finish time. Now hopefully, I will be as happy with this run this morning as I get ready to head out for my 15 miles today. At least I am running a slow pace! Let’s start with the first number which is very impressive. 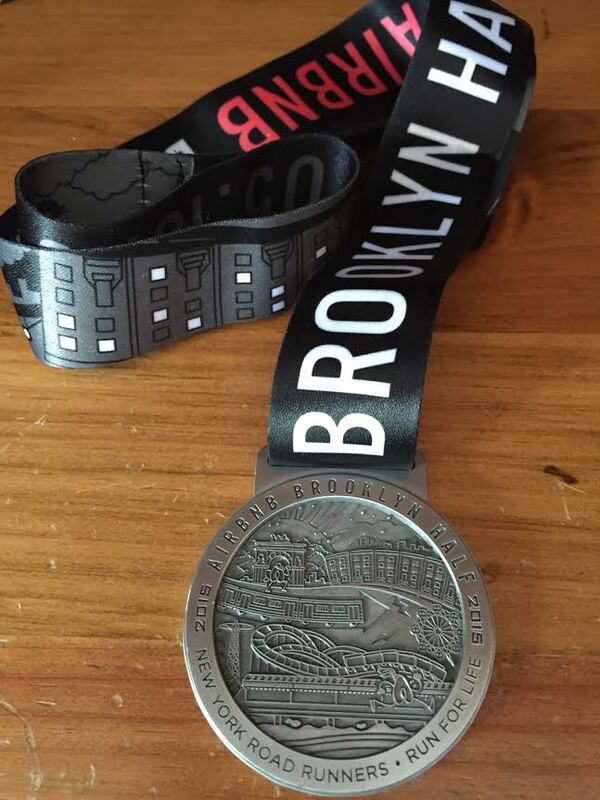 There were 26,482 finishers for the Airbnb Brooklyn Half. This is a record breaking US finish count for a 2015 Half Marathon. I am happy and honored to say that I am one of them. More women than men finished too with 18,759 women crossing the finish line. Then there is my finish time which not as impressive, but a good time that I am very happy with. This is right where I wanted to be. I wanted to be at 2:15, so I can’t believe how on the mark that I was with this. Might have something to do with that I followed a plan this time. What was my plan you ask? Go out at 10:20-30 for the first 10, start cutting down the last few miles a few seconds a mile. I will say that in the beginning it was hard to follow the plan, but I reigned myself in. It wasn’t hard because I’m Speedy Gonzales. It was hard because I always go out too fast. It was hard because I was caught up in the excitement of the start of the race. It was hard because my ego took a little bit of a bruise allowing myself to be passed and needed to be seriously checked. It was easy though because I knew I had a plan that I needed to follow. I think I like having a plan now that I’ve experienced running with one. As far as the ego even though I know I’m not competing against the other runners, it really is an ego killer being passed left and right by them. It’s human nature (or at least mine) to want to pass them and not be the one feeling like your left in the dust. That is UNTIL you remind yourself that you need to stick to pace and not theirs. I’ve heard race bystanders yell at other races and even yesterday the chant, “Your race, Your Pace.” I never gave it much thought till yesterday where I internalized and owned it. It made so much sense. This was my race and I needed to run it. I needed to allow myself to be passed. I was not competing with those passing me. I was challenging myself and in order to do that I had to follow my pace. It was a good pace too. And although I didn’t hit every mile goal I was pretty darn close. This was right where I wanted to be. I was doing the math to keep me there and I used my Garmin to keep me on pace. If you know me too, you know that I hate math but it kept my mind occupied. Each mile I would mentally add my goal 10:20 to my time and try to hit the target. More often than not, I did. Although, I do need to adjust my setting for time display as it was only giving hours and minutes and not seconds which really is key in pacing. Then at mile 10, I took some Gatorade and allowed myself some freedom. Then the .1 at 8:21 as I always like to sprint at the end if I can which I did since I controlled my pace! There is more to talk about as this really was a great event. Pace is the rate of speed or a single step taken when walking. An example of pace is when change comes slowly. An example of pace is one step taken. To pace is defined as to repeatedly walk the same path over and over or to regulate the progress of something. I’ve been thinking a lot about my pace recently. Probably because if you remember, I’ve recently had to slow it down. Not really by my choice and not really because I’m Speedy Gonzales. It’s just something I was told to do by running coach. I’m getting better at it and I’ve been spending a chunk of my runs making sure to stay on pace. I’ve got a lot of work to do, but I’ve seen some improvement in just the few runs I’ve done already. Runner’s spend A LOT of time thinking, talking, and trying to improve our pace. That being said, very rarely do we try to master our pace (or maybe it’s just me) and usually never spend time trying to slow it down. It’s always about going faster, faster, faster. Now it’s about putting on the breaks a bit. Strange. Often when talking to another runner and sometimes even a non runner, the question of our pace usually comes up. 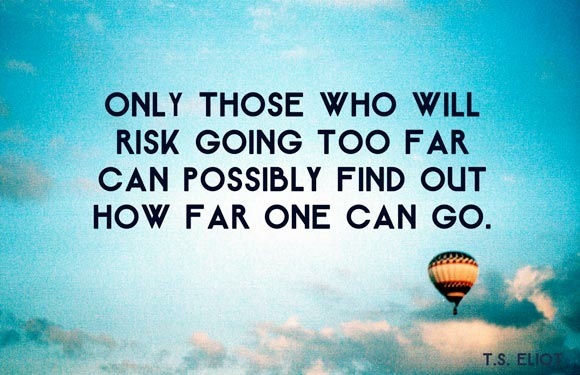 What’s your normal pace? Do you want to run your pace or mine? I think all our focus on improving our pace sometimes makes us forget that faster isn’t always better. Also faster is all relative. What is lightening fast to me, would be a snails pace to a front of the Pack runner. And what is slow to me is fast to another runner. 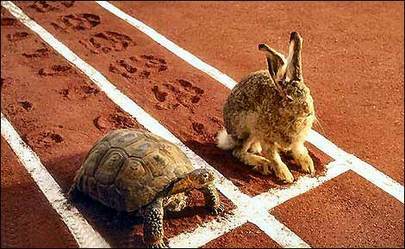 We need to remember the story of the Tortoise and the hare to remind ourselves that it’s ok not to run fast all the time. I’m learning to embrace my inner tortoise. We all know the story of the tortoise and the hare. We all know that sometimes taking your time is the best way to get to the finish line. Yet, we all want to be the hare. We forget that the hare lost the race and that sometimes slow and steady is all that is needed to win the race. On my now slower runs, I’ve really been thinking about my pace. I’ve realized that in order to be able to do the things that I want to do with my running that some days I will need to be the tortoise. I need to do that so that on the days that I will be the hare, I am prepared. I need to learn to control my pace, so that when I do finally get to the Marine Corps Marathon I will not have negative reverse splits like in Philly. Although, I kept a steady and decent pace my time per mile kept creeping up and not down. Case in point, my first mile was 10:06 and my last was 11:16. I even had a 12:30 at mile 22. I would like to get control of my pace, so that when I start in DC, I will be the one able to hold it back in the beginning and have the energy to push it at the end. One of the things that I had an Aha moment about was that I need to control my pace and not let m pace control me. It is also a good idea to have in your running arsenal. There will be days, runs, hills, and everything in between that will benefit. Maybe, just maybe if I get a handle on it, I will be able to see the right kind of splits in DC. Luckily, I’ve got months to work on it! Do you control your pace or does your pace control you? When I first ran my first half marathon, I was lucky enough to go with three experienced runners and racers. On the way there they were all talking about what their pace was going to be what their plan was going to be for the Half. All the things a serious runner should know. When they asked me what my goal pace and finish time was, I had both no idea or answer except to say that my goal was to finish. I hadn’t given it any more thought than that. I, honestly, didn’t even know what would be considered a good finish time. When we got to the start line, we made plans where to meet at the finish line as I told them not to wait for me. What I ended up doing was literally just following behind them the first few miles letting them set my pace. They didn’t even know I was there till about mile 3. A funny thing happened, I realized that I might just be able to keep up with them and I did. Eventually, I even ran with them and not behind them like a stalker. I even had what I now know was a decent finish time of 2:09. I really had no idea what I was doing either. I just followed the group pace and luckily it worked for me. On the way home I said that I if I knew what I was doing, I might be dangerous. I still don’t know what I’m doing, but since then I’ve learned a lot. I’ve learned that training involves more than just going out for a run. There are different types of training runs – the “easy” runs, tempo runs, speed workouts, and the long distance slow runs. Not only do I know about these runs, I’m actually doing them. I still have so much to learn but I’m starting to feel a little dangerous. I’ve even decided on a plan for the Hat Trick. I’m going to run the 5K as a slow warm up. Not trying to get any type of PR. Then I’m going to focus my energy on the 10K. This will be my goal race. I’ve never run a 10k, so I want to finish with a good time. My goal time is to be around 60 minutes. I may be shooting for the stars, but why not. This is what I will use as my training pace. Then for my Half the next day, I, ideally, would like to finish around 2:30. So now I’ve got a plan. I’ve got a training schedule. I’ve also got an awesome running mentor who is showing me the ropes. I’m definitely living dangerous now! !